The news in March that NHS England was considering slashing 10 items and services from prescriptions in order to save money instantly prompted debate among C+D readers. The items, which ranged from gluten-free food to travel vaccines (see full list below), were suggested by NHS Clinical Commissioners (NHSCC) – an independent clinical commissioning group (CCG) representative body – which estimated they could save the NHS £128 million per year. While some pharmacists welcomed the news – one C+D reader said people need to realise the NHS is in “dire straits” – others voiced their concern about how this could affect health inequalities, particularly surrounding gluten-free prescriptions. Dorset contractor Mike Hewitson even wrote a C+D comment piece arguing that the proposals would force the poorest in society to choose between painkillers and food. 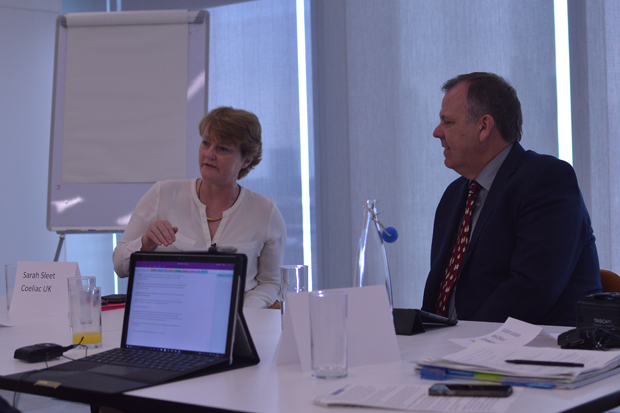 To explore this polarising issue, C+D hosted a roundtable debate in June, bringing together NHSCC co-chair Graham Jackson, Royal Pharmaceutical Society (RPS) English board chair Sandra Gidley, CEO of charity Coeliac UK Sarah Sleet, and London contractor and CEO of City and Hackney local pharmaceutical committee (LPC) Hitesh Patel, to discuss what the proposals could mean for pharmacists, patients, and the wider NHS. Since the roundtable event, C+D has reported that NHS England is consulting on an updated list of 18 drugs and services – which includes homeopathy – to be scrapped from prescriptions. However, the roundtable discussion was based on the original list of 10 items and services proposed by NHSCC. You can listen to the full debate in the podcast below, or continue reading to find out C+D's key points from the event. 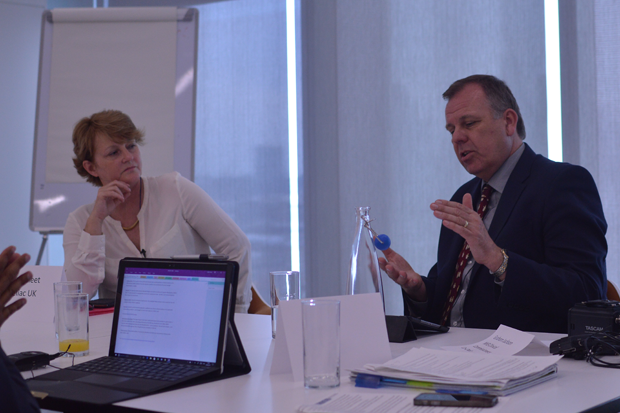 The debate was kicked off by NHSCC's Dr Jackson, who gave valuable insight into why his organisation had picked on the 10 categories it wanted to remove from prescriptions first. “The important thing to recognise is the NHS has a finite amount of resources, and we need to make sure we use those resources appropriately,” Dr Jackson (pictured below, right) explained. NHSCC recognises that money is being spent variably across England on certain prescriptions – money that in certain parts of the country could be invested elsewhere, he added. In terms of how the original list of 10 drugs and services was selected, Dr Jackson said NHSCC's analysis of prescribing patterns has been going on for many years, in collaboration with CCG's medicines optimisation teams. In response, Coeliac UK’s Ms Sleet (above, left) levelled criticism at NHS England’s public consultation on NHSCC’s recommendations, particularly around patients who would be affected by gluten-free products being removed from prescriptions. Ms Sleet explained that the first that Coeliac UK heard of the consultation was NHS England chief executive Simon Steven’s announcement to the media. "Even in his statement, he talked about things like...gluten-free [prices] going down." Ms Sleet claimed that: "When challenged, the DH agreed they had no evidence to back up that assertion." The RPS’s Ms Gidley also voiced her concerns about how the announcement was originally made. “There was very little detail about the drug names,” she said. Ms Gidley gave the example of fentanyl – where the list originally publicised by NHSCC did not differentiate between long-acting patches and quick-release products. "My original reaction to fentanyl [being on the list] was: that is nuts," Ms Gidley said. However, Dr Jackson clarified to C+D that only short-acting immediate-release fentanyl products would be affected, and agreed there was “maybe an issue on how [this recommendation] was framed”. Ms Gidley said a "good outcome" of the C+D debate would be that community pharmacists can now assure their patients on long-acting fentanyl patches that there won't be any change in their medication. She added that there is a “wider debate” to be had about what the health service can and can’t afford. “We pick on medicines as a quick win, when there are many other procedures in many other parts of the health service that are not well evidence based,” she said. Dr Jackson addressed the prescribing of omega-3 – which was also on the list of 10 items put forward by his organisation – and said he did not see any reason why patients shouldn't buy it. "Some of these omega-3 prescriptions are historical," he said. "People have not updated clinical behaviour." NHSCC had argued evidence for prescribing omega-3 was "weak", and pointed out that Nice recommends against prescribing it for primary prevention of cardiovascular events. C+D readers appeared to agree, with 88% of respondents to an online poll – which ran between May 16 and June 16 – opting for it to be removed from prescriptions. Gluten-free products quickly emerged as one of the hot topics of the debate. According to a separate C+D poll, 87% of 216 readers agree with NHSCC that gluten-free products should be removed from prescriptions. Ms Sleet said Coeliac UK has been calling for many years for the gluten-free prescription list to be completely reviewed. “Products that are not healthy should not be prescribed,” Ms Sleet stressed. However, she made clear that complete removal of gluten-free foods would be “unacceptable”. Ms Gidley said the RPS is also not convinced sugary gluten-free products should be on prescription. She suggested looking at the system available in Scotland, "where they have a free food service run through community pharmacy". 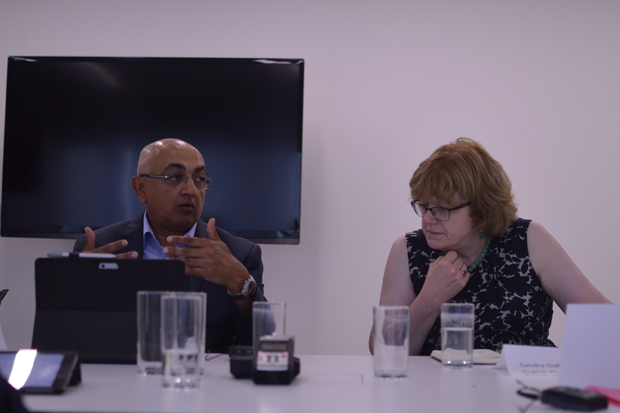 London contractor and LPC CEO Mr Patel (below, left) said he has noticed the range of gluten-free products “growing and growing” in recent years. “There so many different suppliers and they know they have a captive market,” he added. He argued that “difficult moral decisions need to be made”, as the gluten-free market is “out of control”. 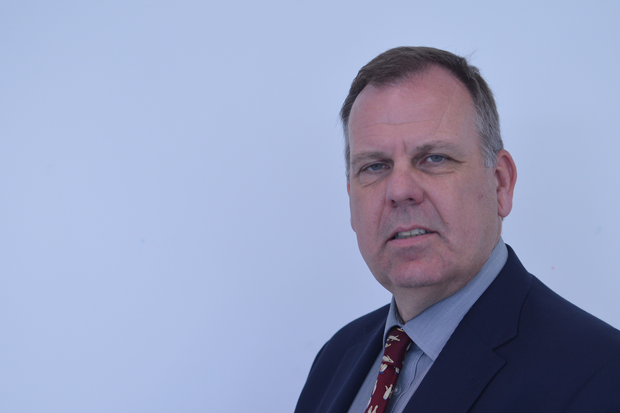 The discussion also touched on contractor Mike Hewitson's concerns, set out in a comment piece for C+D, that scrapping items from prescriptions could impact certain patients more than others. Ms Gidley addressed the complicated issue of health inequalities head-on. “As a community pharmacist, I do know there are very different prescribing patterns, but there are also big differences in what people will buy themselves,” Ms Gidley added. However, she said she was concerned about the prescription changes creating "second-class health citizens". "It would be dangerous to fall into the trap that [because] something is available to buy over-the-counter, someone should be encouraged to buy it," she added. "Every case needs to be looked at on its merits." Mr Patel also stressed that there “needs to be a safety net”, when it comes to removing travel vaccinations and gluten-free food from prescriptions. Dr Jackson recognised that the inequalities argument is a “really important one to focus on”. “You need to think about the unintended consequences of a policy, or change,” he said. However, by “extending the argument further”, there are people “getting products off prescriptions that could well afford them”, he pointed out. “I bring you back to the fact that the variation of CCGs is quite significant, and we are trying to reduce that variation by the policy we are suggesting,” Dr Jackson added. With potentially serious changes to prescription policy on the horizon, it may be community pharmacists who bear the brunt of patient frustration, as they try to explain why certain treatments are no longer free. Ms Sleet responded that clinicians must play a role in explaining prescription changes to patients, while Ms Gidley said it is important to reframe the argument, "so the patient realises they have a right to the basics, but not a right to choice – because we can't afford that". Dr Jackson concluded by emphasising that healthcare professionals are in the business of providing what the patient needs, not what they want. “LPCs should write to their CCG to have a pharmacist [included in] the discussion about the local formulary,” he stressed. We know now that a revised list of 18 items and services – on which gluten-free food does not feature – are being carried through to an NHS consultation. Alongside these, NHS England announced it is gathering views on a further 3,200 items – including cough and cold remedies – to see whether they should also be barred from prescriptions. Dr Jackson alluded to this development during the C+D debate, when he revealed NHSCC would next look at cough and cold products, where the clinical value can be "questioned". With prescribing in the spotlight as never before, it is clear that the debate around what patients are entitled to – and what the NHS can afford – is set to continue. What were the 10 drugs and services discussed during C+D's debate? Reason for being scrapped: "Lack of robust evidence of clinical effectiveness"
Co-proxamol. In 2005, the Medicines and Healthcare products Regulatory Agency (MHRA)​ decided to withdraw the analgesic over a phased period – until the end of 2007 – to enable patients to move to suitable alternatives. However, there remains some prescribing of the imported product at an inflated price, NHSCC said. Omega 3 and fish oils. These are licensed for elevated triglycerides, but the evidence is "weak", according to NHSCC. Nice recommends against prescribing them for primary prevention of cardiovascular events. There are additional potential savings in terms of reduced GP appointments, it added. Lidocaine plasters. These are licensed for treatment of post-herpetic neuralgia. But there is “limited evidence”, said NHSCC, which pointed out that Nice does not recommend this product. Rubefacients. The evidence available does not support the use of topical rubefacients (rubs and ointments) in acute or chronic musculoskeletal pain, NHSCC said. There are additional potential savings in terms of reduced GP appointments, it added. Reason for being scrapped: "More cost-effective products are available"
Liothyronine. This is used to treat underactive thyroid, but is costly and there is limited evidence of its effectiveness, NHSCC claimed. The vast majority of patients are controlled on the much cheaper levothyroxine, it added. Tadalafil. An expensive alternative to sildenafil (Viagra), but with no evidence of superior effectiveness, NHSCC said. It is also licensed for treating lower urinary tract symptoms in men – but this is not recommended by Nice, except for clinical trials. Doxazosin MR. A fourth-line drug for hypertension. The modified-release version is more expensive than the standard release, NHSCC explained. Fentanyl. Typically used for breakthrough pain in palliative care, there is limited evidence of its superiority compared to morphine – even though it is much more expensive, NHSCC said in March. It later clarified it was only referring to short-acting immediate-release fentanyl products. Reason for being scrapped: "Low priority for NHS funding"
Some gluten-free foods. The range of gluten-free foods readily and inexpensively available in supermarkets is now much greater than when prescribing of the food on the NHS was introduced in the 1960s, NHSCC stressed. Many carbohydrate foods are naturally gluten-free – such as potatoes, rice and some noodles – and the cost to the NHS is greater than if bought direct by consumers, it claimed. Travel vaccines. Only a small number of vaccines are allowed on the NHS, but many practices still prescribe them, NHSCC said. Do you agree with NHS Clinical Commissioners’ call for gluten-free foods to be removed from prescriptions? Do you agree with NHS Clinical Commissioners’ call for travel vaccines to be removed from prescriptions? Do you agree with NHS Clinical Commissioners’ call for fentanyl to be removed from prescriptions? Do you agree with NHS Clinical Commissioners’ call for omega 3 and fish oils to be removed from prescriptions? How will barring items from prescriptions affect you? I am confused by the role of the current RPS, are they here for the professional development of pharmacists, or are they here to comment on government commercial policies for contractors? 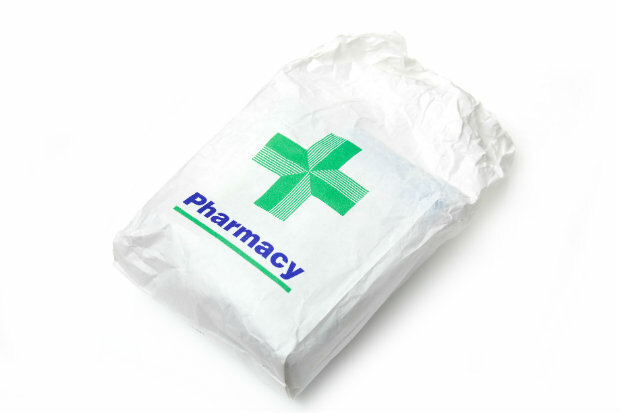 Since the NHS contract directs that, community pharmacies are obliged to carry out the government's wishes. I support the fact that, as a taxpayer, I am no longer paying for some unnecessary prescriptions, and I see this as a good start towards addressing the dependency culture in pharmacy contractors. As long as we get enough time to manage our stock-holding!